Five high-sodium foods — not all of them salty tasting — are a big reason why nine in 10 Americans get way too much sodium every day. 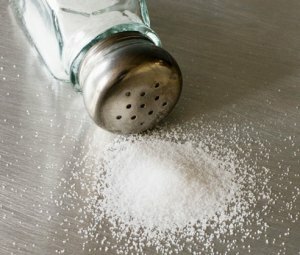 New CDC data show that only 9.6% of U.S. adults limit their daily sodium intake to recommended levels. Where’s all that sodium coming from? “All food categories contribute to sodium intake. But grains and meat — the foods we eat most — contribute the most sodium,” Elena V. Kuklina, MD, PhD, senior service fellow at the CDC’s division of heart disease and stroke prevention, tells WebMD. Basic U.S. dietary guidelines suggest that adults get less than 2,300 milligrams of salt each day, but the basic guidelines apply to fewer than a third of Americans. The rest — 70% of the population — are middle aged, elderly, or African-American. This huge majority should get less than 1,500 milligrams of salt per day. But the average American gets more than twice the recommended daily dose of sodium: 3,466 milligrams of sodium per day. This means we’re at risk of dangerously raising our blood pressure. Compare labels to choose low-sodium foods (and don’t be fooled by deceptive labels).